The Xiaomi Mijia Vacuum Cleaner is a robot vacuum cleaner equipped with 12 sensors as well as a laser scanner (LDS – Laser Distance Sensor) allowing it to move into your home very precisely. Combined with three microprocessors, the scanner performs 1800 measurements per second over 360 degrees allowing the algorithms to determine in real time the position of the vacuum cleaner. At any time, the ideal cleaning route is recalculated. You can follow in real time the path traveled by your robot vacuum cleaner on the associated mobile application (available for iOS and Android). The vacuum cleaner is equipped with a Li-ion battery of 5200mAh ensuring autonomy of 2.5 hours of cleaning. The autonomy is sufficient for a surface of approximately 250m2. There is also the roborock model that allows you to vacuum and wash simultaneously. More detail on this page. Gearbest often sells Xiaomi products. The price displayed on Gearbest does not take into account the discount. To take advantage of a promo code on Gearbest, start by adding the product to the cart. Before making the payment, enter the promo code in the Coupon field and press Apply. The promo code is validated and the final price recalculated. Gearbest has a logistics platform in England. Some codes are valid only from China or England. This is often the case for heavier products like the Xiaomi Mi Vacuum Cleaner. If you are unable to take advantage of the discount, delete the article by clicking delete and return to the product page. Choose another warehouse (Warehouse Options: China | UK) before adding the product to your cart. This product is available at FastTech, GeekBuying, Zapals, Gearbest, Banggood, Ebay, Amazon.com, Chinavasion Wholesale Electronics & Gadgets, AliExpress. At fasttech.com you can purchase Authentic Xiaomi Mi Smart Robotic Vacuum Cleaner (US) for only $269.95, which is 26% less than the cost in Chinavasion Wholesale Electronics & Gadgets ($364.09). 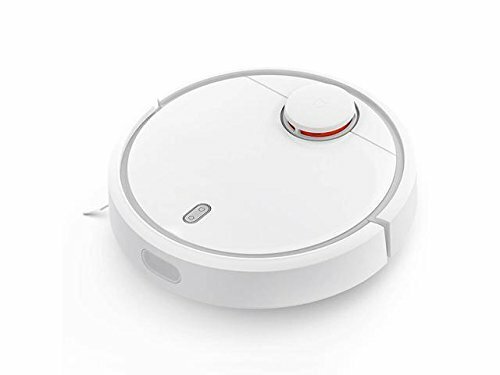 The lowest price of Xiaomi Mi Robot Vacuum Cleaner - Laser Distance Sensor, NIDEC Brushless Motor, 1800 Pa, 5200mAh, App Control, Auto-Adjust Brush was obtained on 3 January 2018 17 h 29 min.